Do you love to build with Legos? If you attend Kindergarten through 6th grade, the Lane County Library is hosting a Lego Club for you! We will provide the Legos, so you only need to bring your imagination. Legos were purchased with the Henry Coleman Memorial but Lego donations are very welcome. If you would like to make a donation, contact the library. 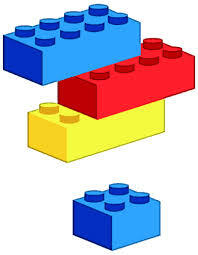 The Lego Club will meeting every Tuesday from 4-5 p.m. starting November 18th. See everyone on the 18th!